Caution - the indented design feature of this decanter must not be used as a handle. Do not insert your hand or any item into the indented area. 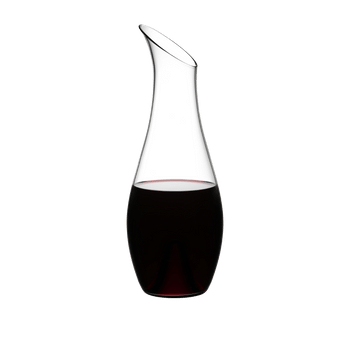 The handmade decanter distinguishes by an elegant and complex design. 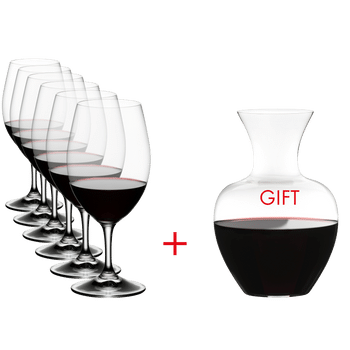 The striking decanter is ornamented with the howling profile of a dog’s head on the inside, to celebrate the dawn of the Year of the Dog in the Chinese zodiac calendar. Characterised by loyalty, honesty and intelligence, the Dog is one of 12 animals in the zodiac. Maximilian J. Riedel, the 11th generation CEO and President explains, “We now have a tradition to uphold in terms of the Chinese calendar. Our first decanter in this series was the Dragon in 2012. After that came Boa the snake in 2013, the Horse in 2014 and Ayam the rooster in 2017.” Cleaning beads should not be used. Carefully hand wash only.